BUBM is a Brand Doing all kinds of Bags, Package, Case.. Have a factory to produce BUBM product. BUBM have enough experience to make a Fashion, Waterproof, Durable, Environmental Bag , easy use Design to Protect all kinds of items. a compact bag for teens,Kids and Men. With lots of space, you will be able to take anything you need (or want!) to your traveling or home. Materials: Environmental Nylon, BUBM WILL NOT USE any material bad for Health . ONLY use one of the best materials to produce instead of poor one. 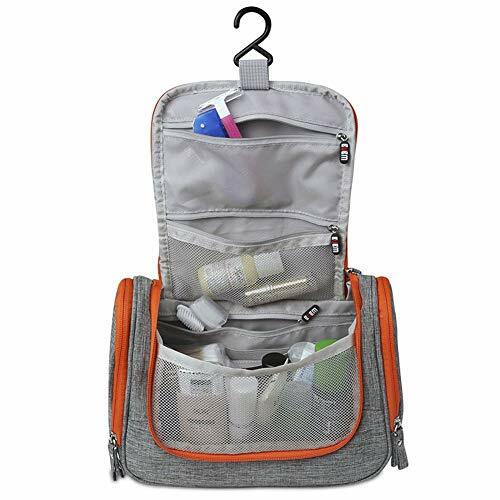 Function: Convenient BUBM can give us more convenient life since it can help us carry, protect, arrange our Makeup tools, Cosmetic applicator, Toilet requisites , Washing tools and so on Well . Multifunction Also, can be used as hand bag When you travel put inside the towel , Shirts , underwear and Socks ,make the suitcase tidy and easy to find out them . Wall Hook Design Hanging on the wall make it a good case to put all kinds of item inside and easy to find since it have the Wall Hook , also prevent the danger away from baby. Waterproof This Case made by Nylon , Stainless steel zipper head. It is Waterproof but Soft Feeling. 100% Money Back Guarantee: Buy our toiletry bag without risk! We guarantee your complete satisfaction, or your money back. Hassle-free returns..
Order original BUBM Product here, enjoy this case! Package including: one BUBM bags With Original Plastic bag , not included the things in the bag.